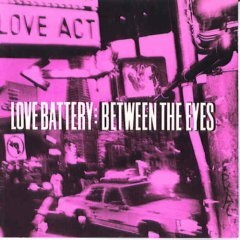 Love Battery is described in various ways...Psychedelic Grunge, Pop Grunge, Garage Grunge, whatever label you wish to put on them, or not, the band was unique. Maybe too much so, as they never received commercial success, or airplay, outside of the Pacific Northwest. But in the NW, they continue to have legions of fans. 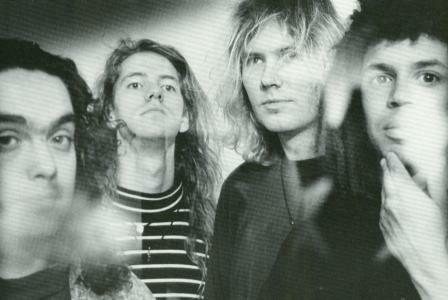 Bruce Fairweather (Green River, Mother Love Bone) and Jason Finn (Presidents of the United States of America) joined band leader Ron Nine throughout much of the nineties. Guitarist Kevin Whitworth has been with the band since the beginning. Mudhoney's drummer, Dan Peters, joined the band for their final album, released in 1999. 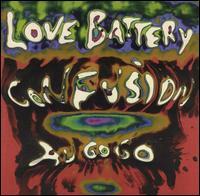 Debut album released in February 1992 on Subpop. Outside of specialty shows, it received little airplay. Click To Buy It! You can hear the unique energy of Love Battery in this project. Click To Buy It! 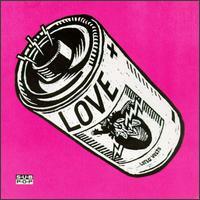 Losing a bit of the momentum that Daygo exuded, this was also their last project on the Subpop label. Click To Buy it! 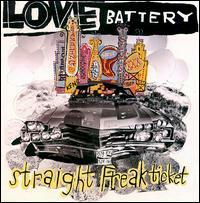 Advance release prior to Straight Freak Ticket, and included two bonus tracks. 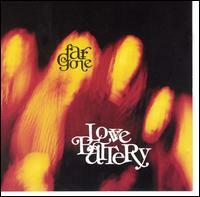 The first cut, Fuzz Factory, received a good deal of airplay in Seattle. Released on the Atlas label. Click To Buy It!